There are a bunch of these on Keith Avenue. 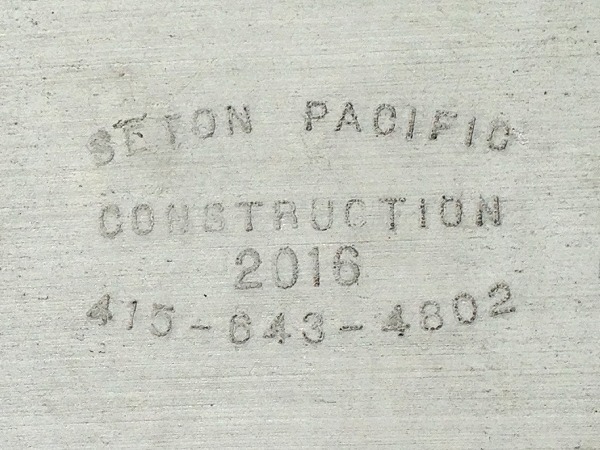 Seton Pacific appears to have several offices in California; the one with this phone number is in San Francisco. I’ve never seen their marks before, so, welcome to Oakland! In 2008, the year I began this blog, I didn’t find a mark from the current year until Christmas, and that was an amateur mark. I didn’t find a professional mark from 2008 until June 2015. This has been your meaningless data set for the week. 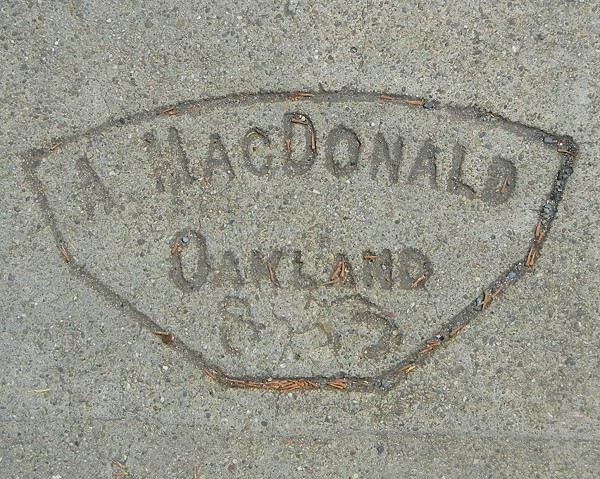 While I’m at it, here’s another new date for an old sidewalk maker. This post shows why I keep my eyes open even after I’ve finished surveying the whole city. First, there’s always new stuff that was installed after I last came by. And second, sometimes I’d miss a mark, or find it indecipherable the first time. This was probably in the last category. This entry was posted on 8 July 2016 at 8:03 am and is filed under 1943, 2016. You can follow any responses to this entry through the RSS 2.0 feed. You can skip to the end and leave a response. Pinging is currently not allowed.